Physician and medical student suicide is usually kept under guarded wraps. It’s a well-kept secret. The phenomenon, which claims at least 400 individuals annually in the US, is one of the alarming results of dysfunctional medical systems. This happens globally. Often the medical culture is one “that condones hazing, bullying, sexual harassment, and teaching by public humiliation.” Physicians and students who struggle to cope with the unrelenting stress, is often marginalized by the same system that train and manage them. They are made out to be weak and incompetent. Assistance to physicians for mental health issues presently comes at the price of additional punishment by the respective colleges. 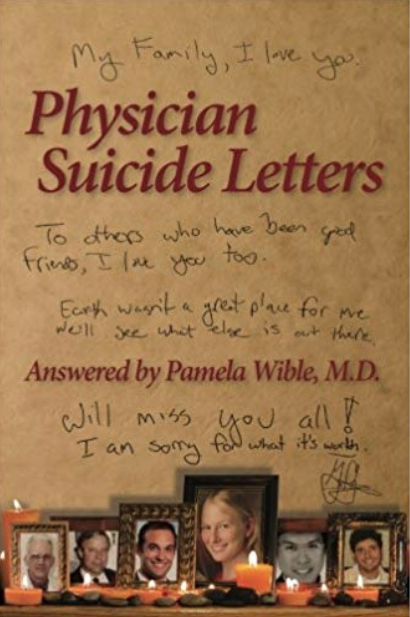 Pamela Wible, known for her international efforts to stop the abuse in medicine, answers letters of victims of abuse, and their family members. People don’t commit suicide—they die due to suicide. Public awareness of this very real entity is necessary if we ever hope to change the culture and empower individuals who are trained to help people, but in the end see no other way out due to relentless bullying and abuse. The simple believes we have about ourselves, form our “mindset.” The view we adopt for ourselves, strongly affects the way we lead our lives and fulfill our potential. 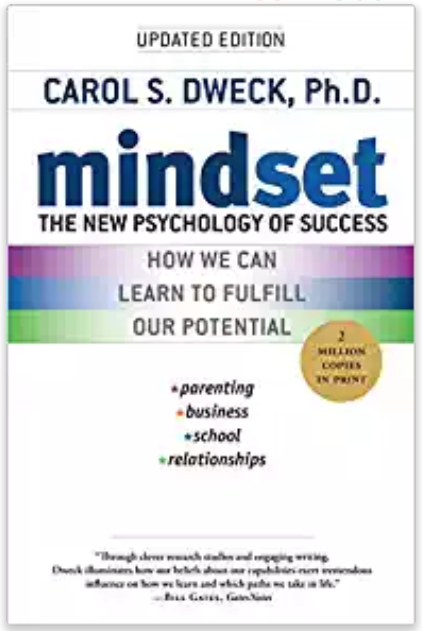 There are essentially two types of mindsets: the fixed mindset and the growth mindset. In the fixed mindset’s eyes, your destiny is preordained: you’re either smart or dumb, talented or not, intelligence is finite and having to apply effort, signals you’re a failure. This often limits what they will and can accomplish in life. The growth mindset embraces effort, they want to learn new things and enjoy a challenge. Failure for them is not the end of things, it only spurs them on to change their tactics, make a new plan and practice even harder; hence they continue growing and learning. We are often a mix of the two mindsets. It is possible to learn and adopt the growth mindset, but it has to be nurtured to be maintained throughout life. “What people believe, they achieve.” A fascinating read. Highly recommended. Pamela Wible’s effervescent style will take you on a rollercoaster ride and introduce you to endless possibilities. Don’t let the cover fool you! She is a brave pioneer who challenges corporate bodies and groups who are attempting to make the independent family doctor in America obsolete. Through her often hilarious, sometimes heart-wrenching and otherwise brutally honest rendition of life in the medical world, she paints a picture of how it is still possible to create a more ideal clinic. She shows that it is possible to survive the onslaught and still make an impact on people’s, on patients’ lives, beyond merely diagnosing and and cutting out or prescribing a pill. In the end, it’s all about living, caring and giving—between caregiver and recipient—and it’s reciprocal. 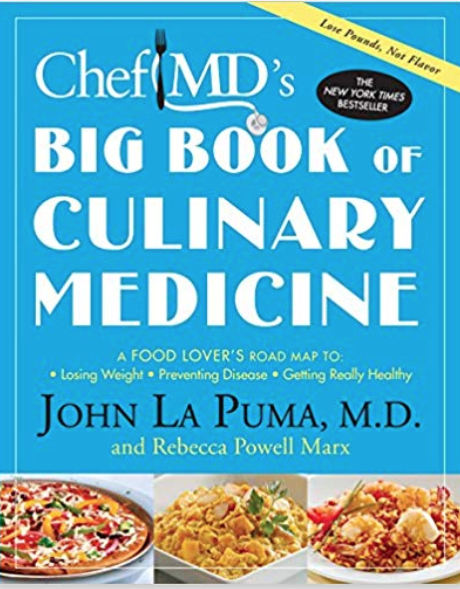 Allow John La Puma, physician and chef, to introduce you to the exciting world of culinary medicine. You will learn the scientific reasons (in simplified bites), why certain foods are better, and how to literally spice up your diet. Master new food preparation skills. Learn about bioavailability and how to get more nutrients out of the food that you eat. By increasing certain foods and avoiding others, multiple medical conditions can be positively impacted. There is such a thing as a ‘culinary medicine chest.’ Try out his recipes and follow his lifestyle modification tips, given throughout. Eat the culinary medicine way and discover better health year round. Read it and then keep it handy in the kitchen. 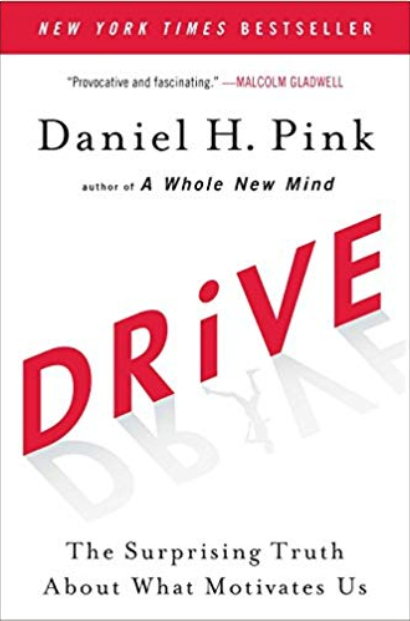 Daniel H. Pink will challenge what you think you know about motivation. He makes a compelling case for the vital importance of nurturing and cultivating intrinsic motivation. Each individual, small business, big corporation or large organization, will benefit from re-assessing why they should part with the outdated carrot and stick form of motivation. Intrinsic motivation, which rests on the pillars of autonomy, mastery and purpose, will not only produce better results, it will ensure happier and more fulfilled people. Productivity and creativity, as a result, will increase. By maximizing purpose in an organization, profits can also be maximized. A New York Times Bestseller. Charles Duhigg, Pulitzer prize-winning reporter and New York Times senior editor, has woven together a fascinating work about routine behaviours—about habits. Through a fine balance of scientific fact and colorful anecdotes, he explains why we have habits and that we can actually change them. 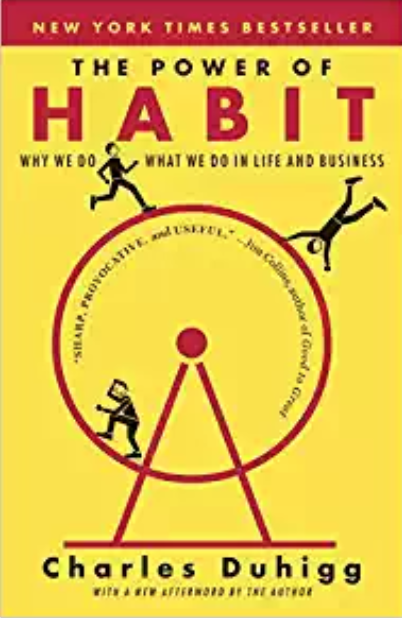 He gives insight into how personal, corporate and societal habits shape the world we live in—and, once we understand how habit works, we can gain power over it. Getting “rid” of bad habits isn’t the solution, but by identifying the cues that lead to the unwanted behaviours, and learning alternative routines that lead up to the reward, habits “can be kicked.” You will never think the same about habits after reading the book, and, likely be prompted to test the findings! No longer is having a great product, something of value, of quality, enough. You need to get, and hold, the attention of those who might buy your product or service. The competition is unrelenting, and as world economics change, so has the noise in the business world increased, making it daunting to be heard. Social media technologies have opened up new possibilities. Now, ordinary people—people like you—can get noticed. You can build an effective platform. But, a showy website alone, is not a platform. 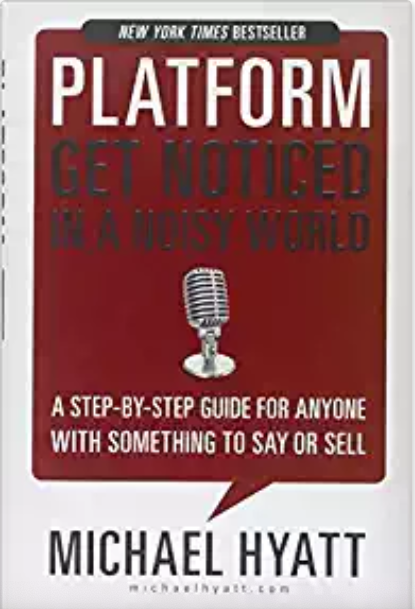 Michael Hyatt demonstrates in a step-by-step fashion how to create a compelling product, how to build your home base and then prepare to launch. He helps you understand how marketing has morphed into building relationships and how you can expand your reach and build and engage a tribe. You can get noticed. 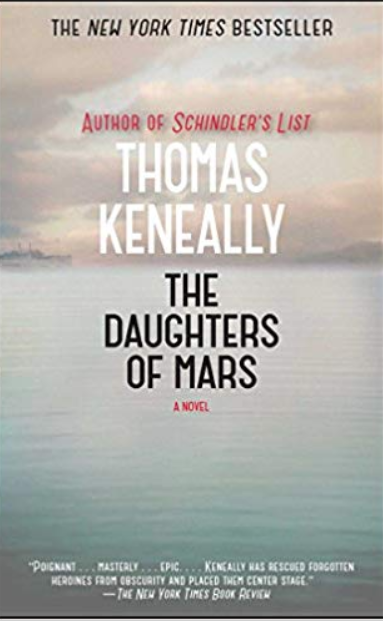 From the author of Schindler’s List (Schindler’s Ark) comes the harrowing story of two Australian sisters who join the war effort in Europe as nurses in 1915. They carry with them a terrible secret. 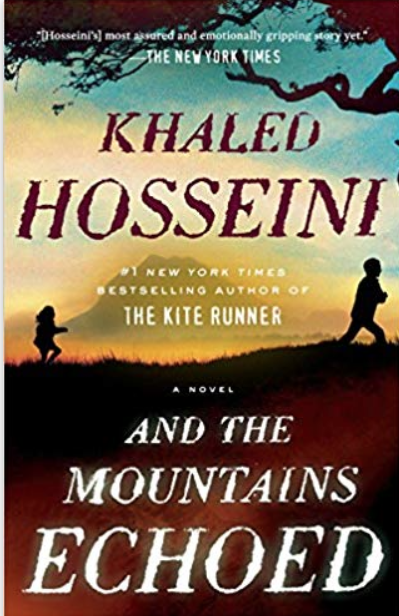 His raw and accurate depiction of a brutal war, fills the pages not only with mayhem, destruction and horror, but also with tender beauty, love and kindheartedness. Keneally’s research, especially in as far as the medical aspects of WWI are concerned, is impressive. An epic saga, painted painstakingly with minimalistic use of words. A New York Times bestseller. From the award-winning author of Galore, comes a novel about how unbreakable the human spirit can be. 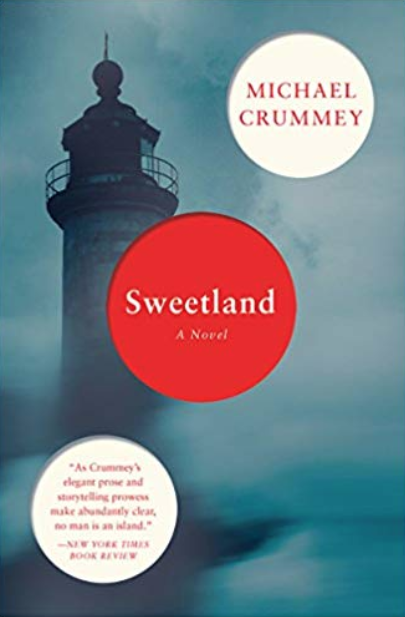 The inhabitants of a remote island off Newfoundland’s coast, is offered a government compensation package to leave the island for good, since the commercial fishery, lifeblood of the community, had disintegrated. Eventually, all accept the government deal; all except Moses Sweetland. He soon finds himself marginalized by the tight-knit community because of his unwillingness to be a team-player. Now an old man, he remains as passionate as ever about the greatest love of his love, the island. An unflinching depiction of a once colourful community, etched against the backdrop of a small Atlantic- province fishing village. A searing tale of friendship betrayed, grafted from the fragments of a war-torn, recent Afghanistan. This brutal rendition of entitlement, loss, loyalty and forgiveness stretches from the mud walls of Kabul to the comforts of California. Amir is called back, years later, to mend past misdeeds against his only childhood friend. An international bestseller, it was also made into an acclaimed movie. 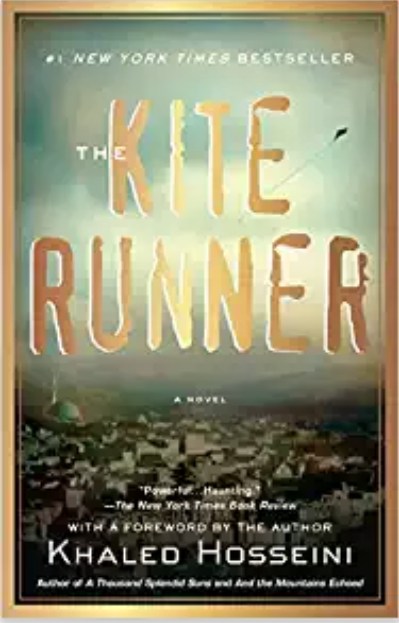 By the author of the international bestseller, The Kite Runner and A Thousand Splendid Suns, a third tale, woven from the fabric of rural Afghanistan. It begins with Pari and Abdullah, a young sister and older brother, who are hurled into the turmoil of a motherless existence, battered by competing interests of various family members. It stretches across generations and continents and continues to surprise with how those dearest and nearest, can often wound and betray the most. But this tender story also portrays how family, how siblings, can love, honor and sacrifice for one another. 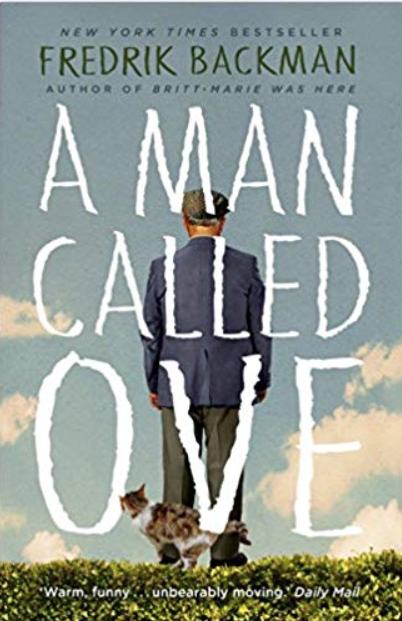 Ove, painfully meticulous, is on the surface a very unhappy man, even bitter—disillusioned with the imperfect world around him. His neighbours especially, (who are idiots in his eyes), frequently push him over the edge. Very soon we laugh and cry with him as he uncovers the one jewel after the other, in a life, seemingly meaningless. Time and time again, his obsessively structured world, is infiltrated and threatened by well-meaning strangers and neighbors alike. There is much of ourselves we will see in the apparent, grumpy old Ove. He published several books about his experiences as a country vet, with the most well known probably All Creatures Great and Small, If Only They Could Talk, and It Shouldn’t Happen to a Vet. Two films and a BBC TV series were made, based on his books. 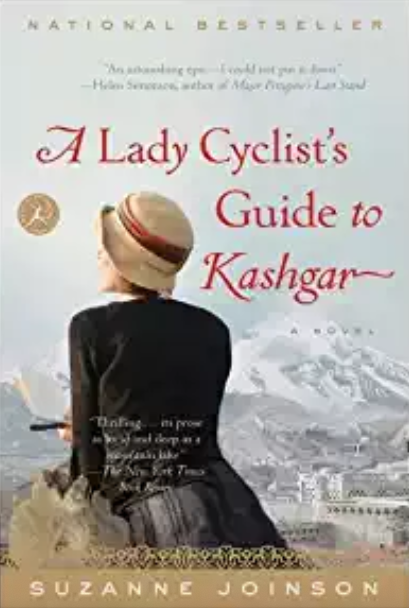 Recommended for every reader wishing to escape into the unforgettable world of the Yorkshire Dales. An absolute must for every dog owner, and dog lover. 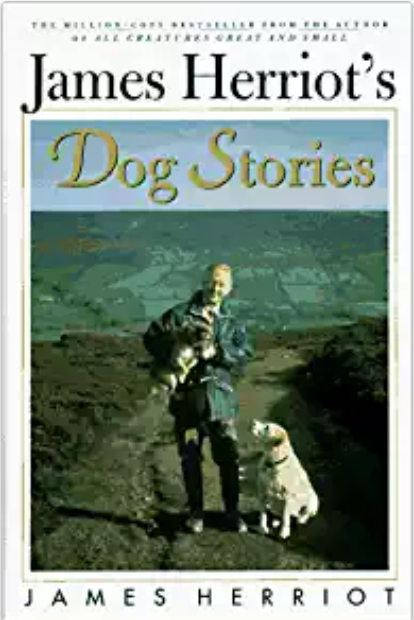 James Herriot had the ability to paint fascinating stories around these dogs, and their colorful owners. 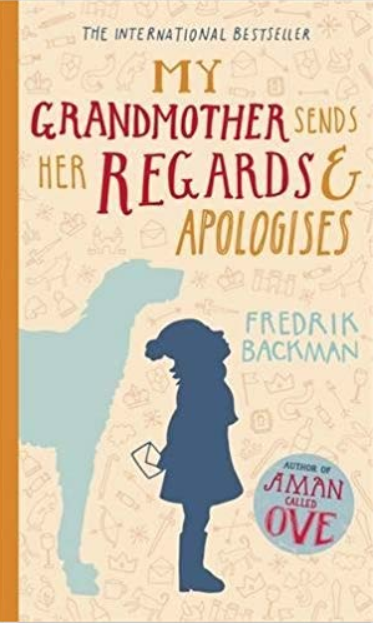 A roller coaster of a tale about almost-eight-year-old Elsa and her eccentric grandmother, who, in Elsa’s eyes, is a superhero. 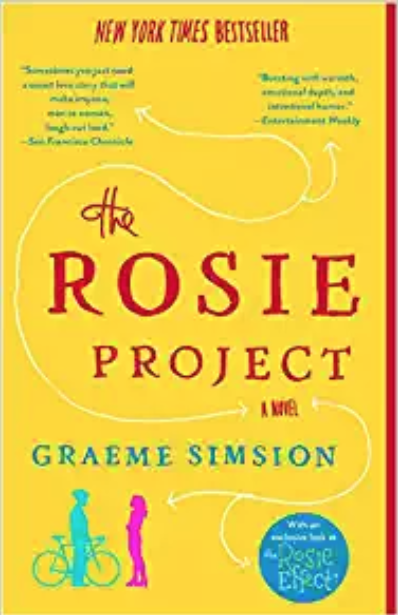 Her grandmother’s superpowers lies in her ability to have created an imaginary world filled with castles and kingdoms, princesses and dragons, which frequently cross over into the real world. Some says her grandmother is crazy—but Elsa discovers she is only very human, like everyone else around them. The precocious Elsa goes on an adventure of discovery about villains and heroes and the need to forgive, about taking a stand and about how even adults have to learn to say they’re sorry (and mean it.) Effervescent, hilarious, serious and enchanting—all in one wonderful mix.